If you work hard enough, if you want it enough, if you’re smart and talented and “good enough,” you can do anything. Her whole life, Lucy Knisley wanted to be a mother. But when it was finally the perfect time, conceiving turned out to be harder than anything she’d ever attempted. Fertility problems were followed by miscarriages, and her eventual successful pregnancy plagued by health issues, up to a dramatic, near-death experience during labor and delivery. 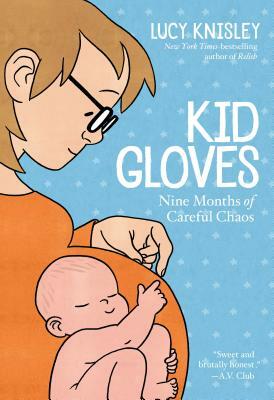 This moving, hilarious, and surprisingly informative memoir, Kid Gloves, not only follows Lucy’s personal transition into motherhood but also illustrates the history and science of reproductive health from all angles, including curious facts and inspiring (and notorious) figures in medicine and midwifery. Whether you’ve got kids, want them, or want nothing to do with them, there’s something in this graphic memoir to open your mind and heart.